DUBAI, 6th January, 2018 (WAM) -- Dr. Thani bin Ahmed Al-Zeyoudi, Minister of Climate Change and Environment has emphasised the importance of preserving the fish stock in the UAE and protecting fishing, being one of the oldest professions in the region. This came at a meeting with Kalba Fishermen Association and Kalba Creek Fishermen Association, during which Dr Al Zeyoudi discussed the current threats to the fish stock and the role of the Ministry of Climate Change and Environment (MOCCAE) in boosting fish reserves in local waters through implementing relevant legislation. The minister praised the fishermen’s contributions to the national economy, and stressed that the Ministry works relentlessly to create a productive working environment for them and equip them with the tools they need to practice their profession. He highlighted the importance of adhering to the ministerial decrees and commended the fishermen’s contribution to achieving MOCCAE's sustainable development strategy. He reiterated the Ministry’s commitment to protecting natural fish reserves in the country and creating safe breeding grounds for marine life as part of its policy framework. 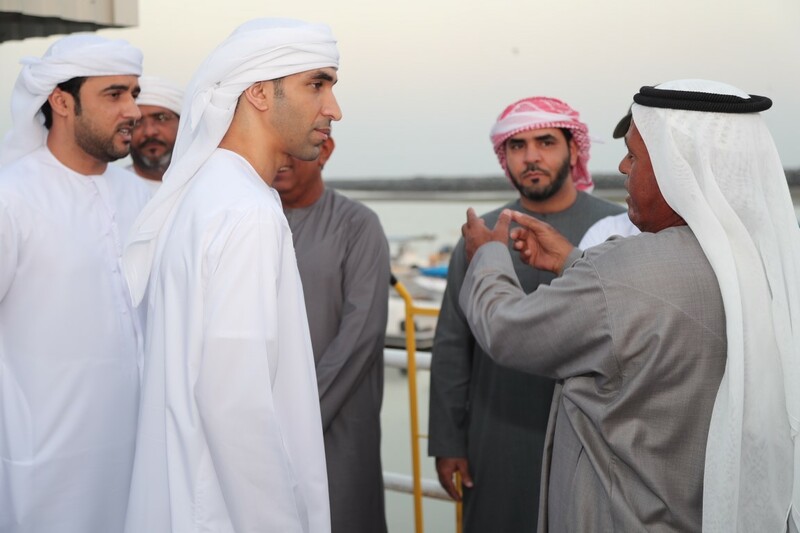 Members of the Kalba Creek Fishermen Association requested Dr. Al Zeyoudi to amend certain fishing laws and regulations applicable in the region due to the specific nature of its fishing areas along the coast of the Gulf of Oman. He directed the Ministry’s officials to conduct the necessary research at the earliest to help the fishermen overcome the challenges they face and ensure their ability to continue practicing their profession in compliance with the laws of the country. As direct beneficiaries of the country's marine wealth, the fishermen conveyed their dedication to abiding by the relevant legislation that aims to boost marine sustainability and ensure food security for present and future generations in line with the UAE Vision 2021.